Decorated in Rhinestone. 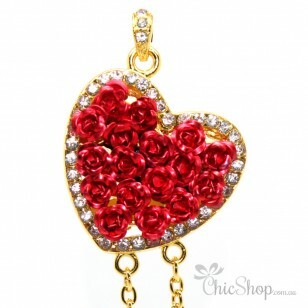 This Heart Shaped With Red Roses USB Flash Drive / Stick is a pretty companion for your Notebook, Laptop or Desktop PC. It's also a perfect gift for any occasion or an indulging treat for yourself.